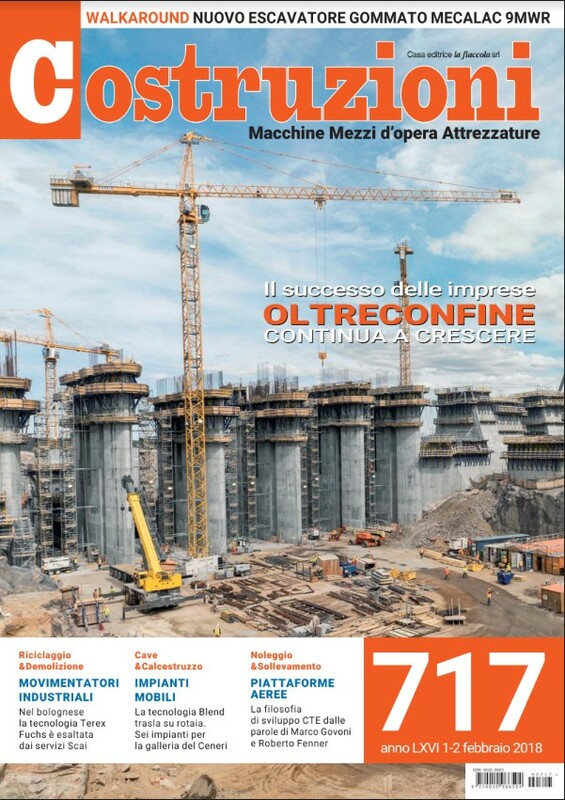 Meet us at the “ECOMONDO” fair! 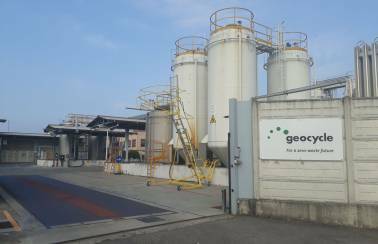 For the last 30 years, Geocycle (Italia) Srl has been active in providing sustainable and responsible waste treatment solutions. 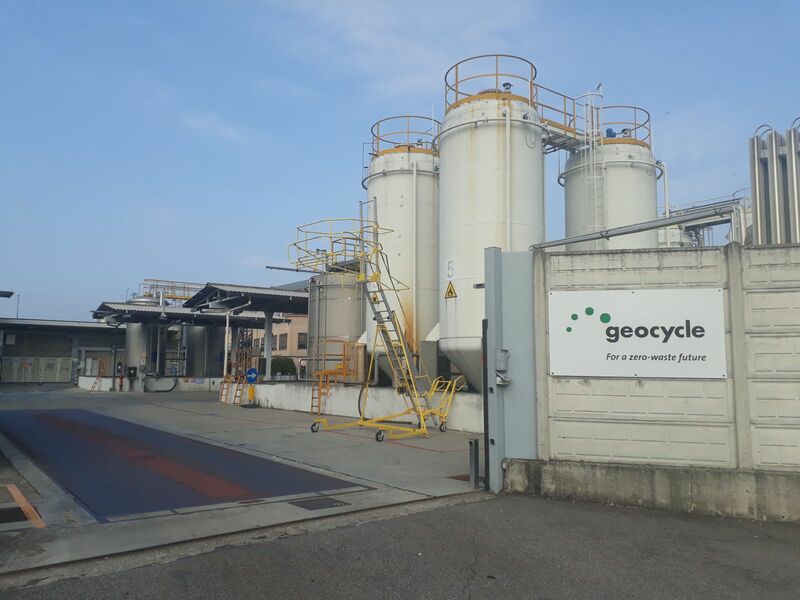 Geocycle is one of the pioneers in applying the Circular Economy principles, proposing innovative solutions that contribute to building a better world. 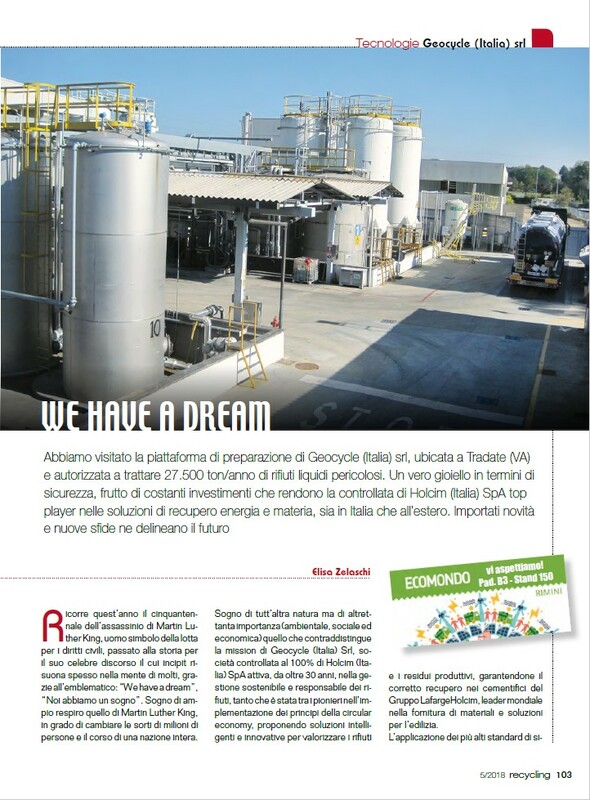 Geocycle (Italia) Srl, with its Tradate (VA) platform, manages industrial residues, ensuring proper recovery in the LH cement plants. Geocycle maintains the highest safety standards. 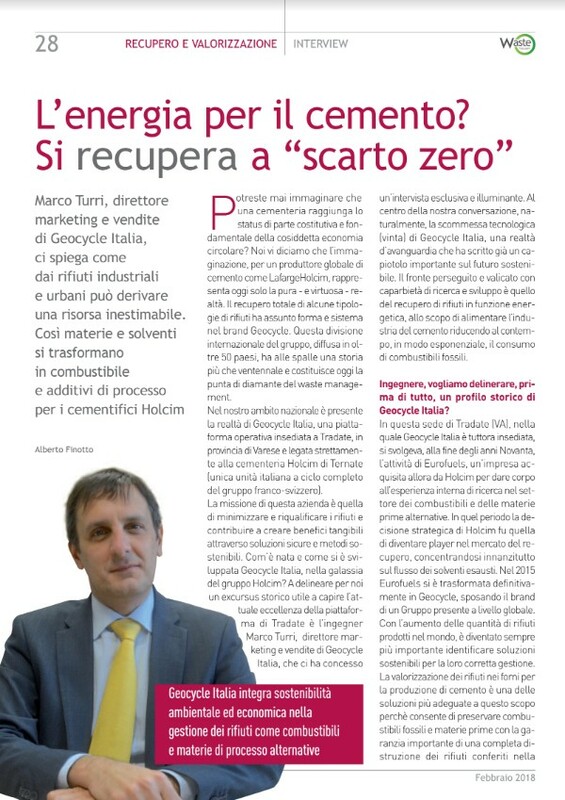 We put a focus on bringing with co-processing in Ternate a local solution for a local problem; however, for materials that cannot be treated locally we offer the entire international LafargeHolcim plant network as a solution. 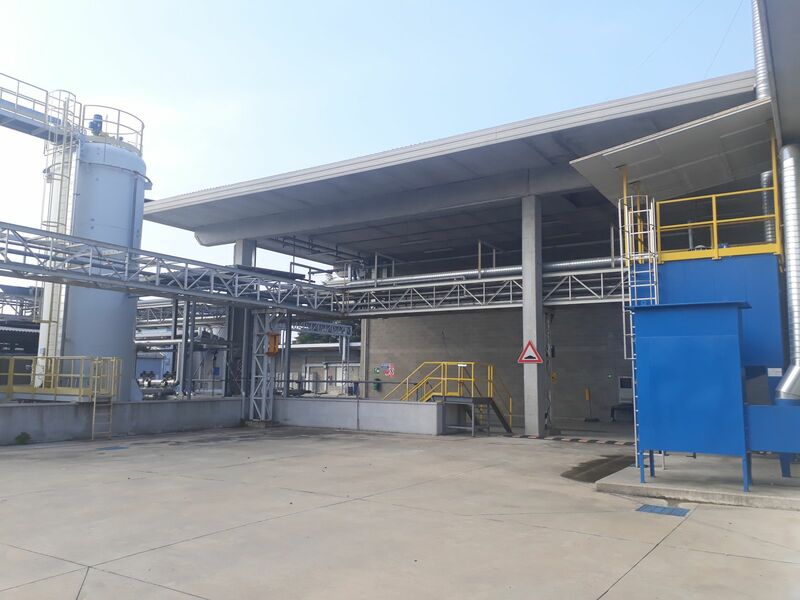 This provides additional treatment capacity to help Italian waste generators who have to cope with limited national treatment options. 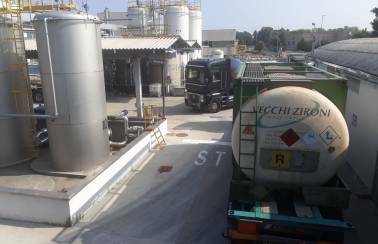 Geocycle tank farm for flammable liquids, blanked with nitrogen. We would very much like to discuss further waste treatment options with you that are not mentioned here. Waste reception by truck and train. Liquid waste is analyzed and safely blended in order to respect the final destination requests. 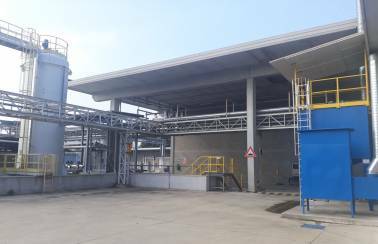 With our brand new laboratory, we ensure complete characterization of all liquid waste managed. 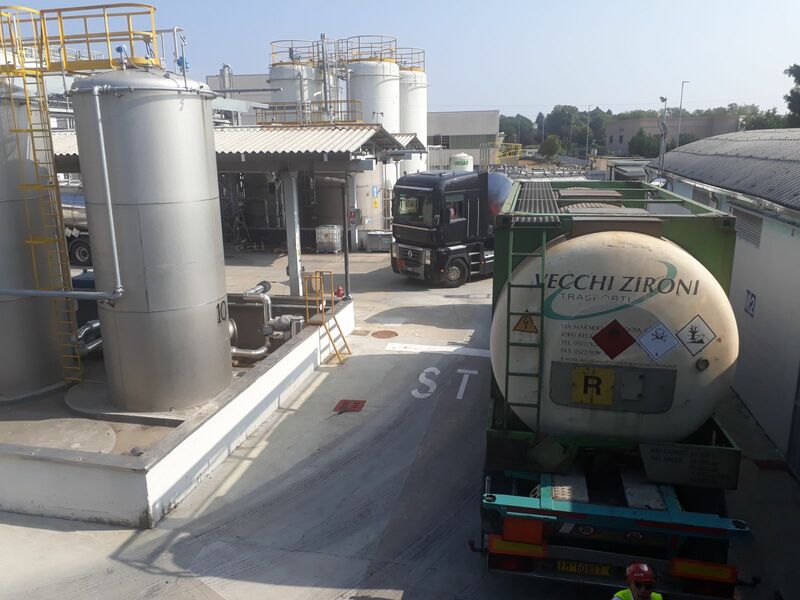 We ensure that our pretreated waste meets the quality expectations of our receiving LafargeHolcim plants respecting the requirements of health and safety as well as environmental protection. Activated carbon filter for emission abatemen and dedicated fire extinguisher systems for each tank. The International trade fair for material, energy and sustainable development will be held in Rimini, Italy on 6-9 November 2018. 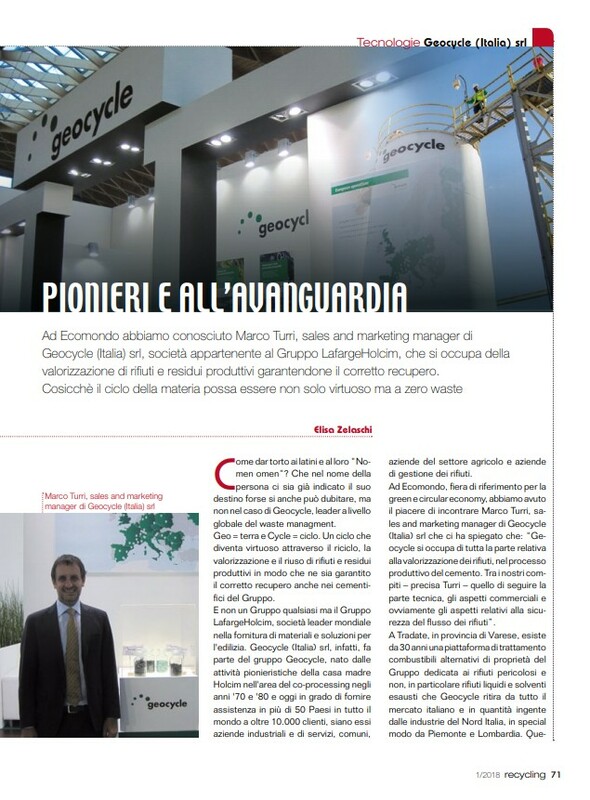 Ecomondo is the LEADING EURO-MEDITERRANEAN AREA CIRCULAR ECONOMY fair. On a 113.000 sq m exhibition space, 1250 exhibitors will welcome more than 115.000 visitors. We are looking forward to meeting you there at the stand B3, booth 150. Please contact us in case of questions or queries regarding our services or acceptance criteria.